W8625 White Crow Rd Fort Atkinson, WI. | MLS# 1854016 | John Reuter Realtor/Broker/Owner of The Reuter Team. Wisconsin Homes for Heroes Realtor. Proud to be the Top Homes for Heroes Realtors in Wisconsin and One the Top Homes for Heroes Realtors in the United States. 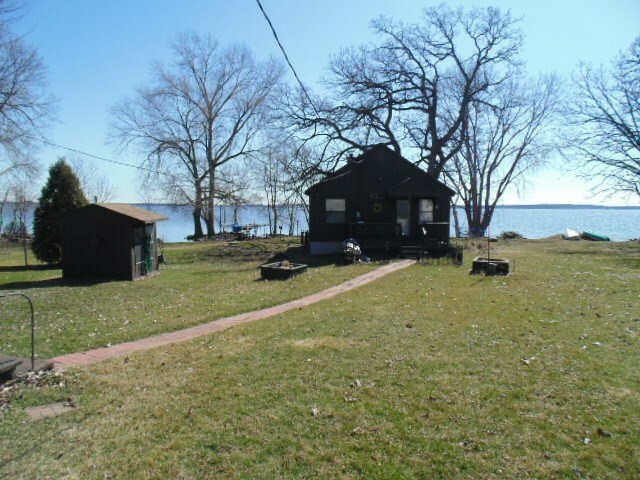 Your very own Lake Koshkonong retreat. This cozy two bedroom with large living room and sun room is perfect for spending time on the water, pull right into your own boat house and enjoy the lake view from the deck on top. There is a nice woodstove ready to keep you warm during all seasons, perfect place to fish is right here. Insulated one car detached garage and well house.